With a true passion for business, optics pioneer Karl Steiner established Steiner Optik GmbH in 1947. He soon realized that the company’s future was reliant on the production of professional high-quality binoculars. This revolutionary idea set high standards within the optics industry and Steiner Optik soon became the world-leading quality binocular manufacturer. In 1973, he stepped down and his son, Carl, took over the family business. Carl Steiner managed to strengthen the company’s position and Steiner Optik has become the world’s leading company in binocular production with products available in 65 countries. Many revolutionary innovations were not only developed by Steiner, but set the standards for future products of all binocular manufacturers. 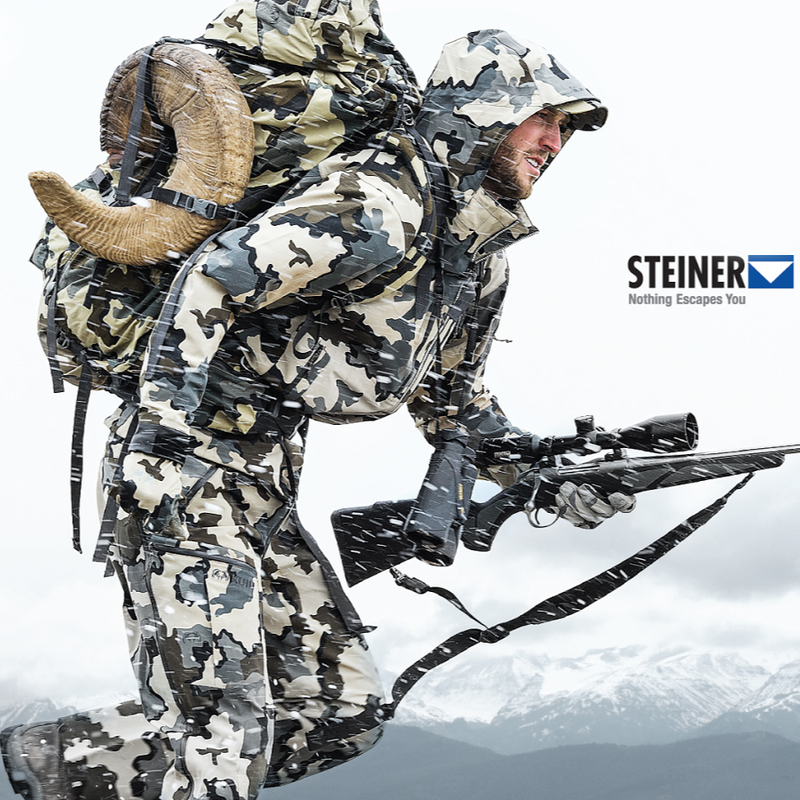 Steiner innovations include rubber armoring, an integrated compass, special optical coating to protect against harmful UV radiation, the pocket-size binocular, and the new Predator lens coating to increase contrast of animals against wooded backgrounds. Steiner binoculars stand up to even the toughest conditions. No pair of binoculars leaves the factory without undergoing a level of functional and material testing that is unmatched in the industry, which guarantees optical brilliance and product functionality. Standards are constantly redefined in an ongoing effort to perfect the quality of Steiner products. Steiner binoculars are tougher than ever, extremely lightweight, with innovative designs, durable construction and the benefit of German-engineered optics technology for a lifetime of dependable performance. Steiner is the only company in the industry that specializes solely in binoculars, and should be the first choice for anyone who does not want to compromise on quality. Steiner-Optik was recently acquired by the Beretta Group and is now part of the Beretta family. For 33 years, Steiner eOptics has supplied professionals with superior products. Its 34,000 square foot state-of-the-art corporate headquarters and manufacturing facility is located in Monterey, California. The company engineers and manufactures sophisticated electro-optical devices from concept design through to completion using the latest technology and custom made parts. Products such as aiming lasers, laser-based training systems and tactical lights are currently serving U.S. and international allies' Military, Law Enforcement and Special Forces personnel, who demand tough, virtually indestructible products. Steiner eOptics delivers the reliability that literally spells the difference between life and death. Steiner eOptics' aiming lasers feature the brightest visible lasers allowed by law. The Ultra Power Point green laser is designed to improve range and visibility in daylight and at night; the Class 1, Eye-Safe IR laser maintains the operational range required by law enforcement and commercial sportsmen without posing risk to the public; and its range of Infrared LED Illuminators provide an eye-safe means of illuminating distances up to 1500 meters. Steiner eOptics’ rugged, precision machined aircraft aluminum housings are MIL-SPEC Type III hardcoat anodized and meet military standards for reliability in the most extreme environmental conditions. If you require tactical lights, Steiner eOptics offers the most durable and reliable that money can buy. Available with either a high pressure Xenon lamp that produces 95 lumens of bright light or a high intensity LED that produces <200 lumens of intense white light, lights are fully operational from 20,000 feet above sea level to 66 feet below the surface. Designed to withstand recoil, the lights can be safely mounted on any weapon from a .50 caliber Barrett rifle to a .22 caliber pistol. Additional products include laser borelights, the LaserBlaster series of dry fire laser training systems and the Accur-Aim™ laser target. The company also carries a complete line of mounts, holsters, pouches and all of the accessories needed to customize its products to meet any mission requirement.